Go make this right now...and save me some. This is by far my absolute favorite dessert. I am not kidding. I would rather have this than pie, cookies, chocolate, chocolate and peanut butter, or even s'mores and you know I love s'mores. 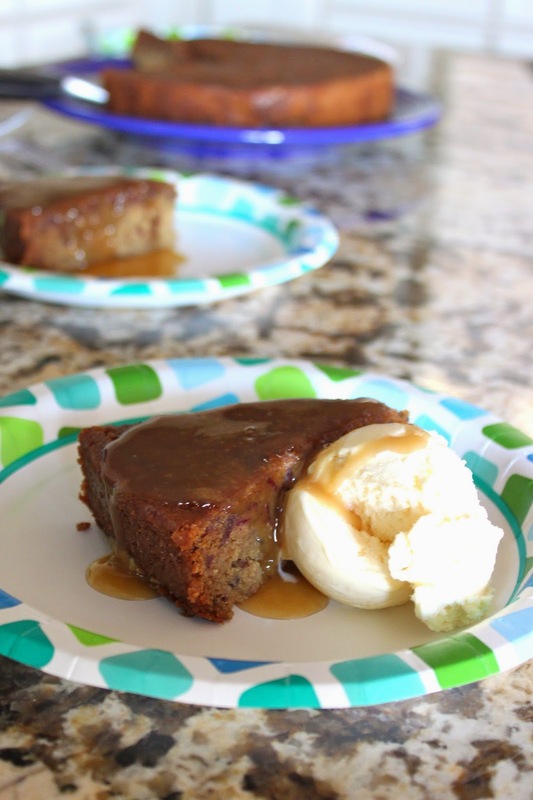 If you are unfamiliar (which I was for a long time), Sticky Toffee Pudding is an English dessert and it is not at all a "pudding" in the American sense. 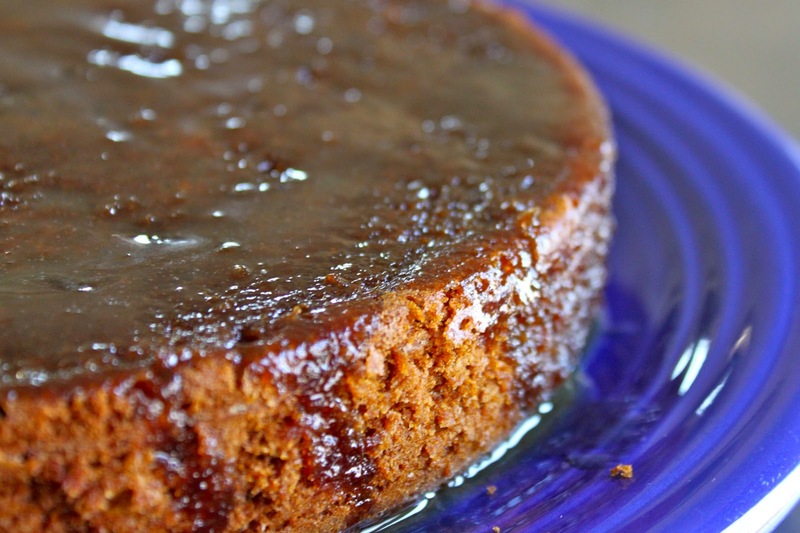 It is a moist date sponge cake topped with an incredible toffee sauce. I was first exposed to Sticky Toffee Pudding when Haagen-Dazs came out with a limited edition "Sticky Toffee Pudding" flavor ice cream. Unfortunately they discontinued the flavor (big mistake if you ask me). From then on, whenever I saw Sticky toffee Pudding on a menu I would get it. Zack and I went on a cruise many years ago and each night we had dinner and dessert in the fancy restaurant. After dinner each night we would go up to the buffet and have second dessert of Sticky Toffee Pudding. I miss that trip. I never attempted to make this until recently. I was watching Barefoot Contessa and she made a version that did not seem complicated at all. I decided I would give it a try for Zack's birthday and we are both glad I did. I will now be making this for my birthday too. Preheat the oven to 350 degrees Fahrenheit. Butter and flour two 9-inch round cake pans or 20 muffin tins. Place dates in a large sauce pan with 3 1/2 cups cold water. Bring to a boil, stirring a little to break up the dates. Then leave to simmer for 1 minute before removing from the heat. Stir in the baking soda (which will cause mixture to bubble up). Cream the butter and the sugar together in a mixer fitted with the paddle attachment until pale and creamy. Add the eggs, one at a time, occasionally scraping down mixing bowl. Add the vanilla extract and then the flour and salt and mix briefly to give a lumpy dough. Next, add the warm date mixture in two batches. Scrape down the sides of the bowl in between mixing. The dough will now be quite watery but don't worry. Finally, add the baking powder (this will bubble up also). Pour the batter evenly into the two pans. Bake for about 30 to 40 minutes for cake pans and about 20 minutes for muffin tins. Test for doneness with a toothpick, it should come out clean when cakes are done. Meanwhile, to make the sauce, combine the butter, brown sugar, heavy cream and vanilla extract in a medium saucepan. Bring to a boil and then reduce to simmer gently for a minute or two until thickened and well blended. When the cakes are done, let them sit on a wire rack to cool for 10 minutes. Then, loosen the sides of the cake by running a knife around the edges, and invert onto a plate. Poke little holes with a toothpick all over the cakes; this will enable the sauce to be absorbed more easily. Pour the sauce over the cakes while they are still warm in a few batches. It takes a few minutes for one coat to soak in so you can add another. Leave the cakes to soak into the sauce for at least 10 minutes. Serve with a scoop of vanilla ice cream. This sounds scrumptious! I love dates! I have always wanted to try this, but somehow assumed it was more labor intensive. I'll have to give it a try now!